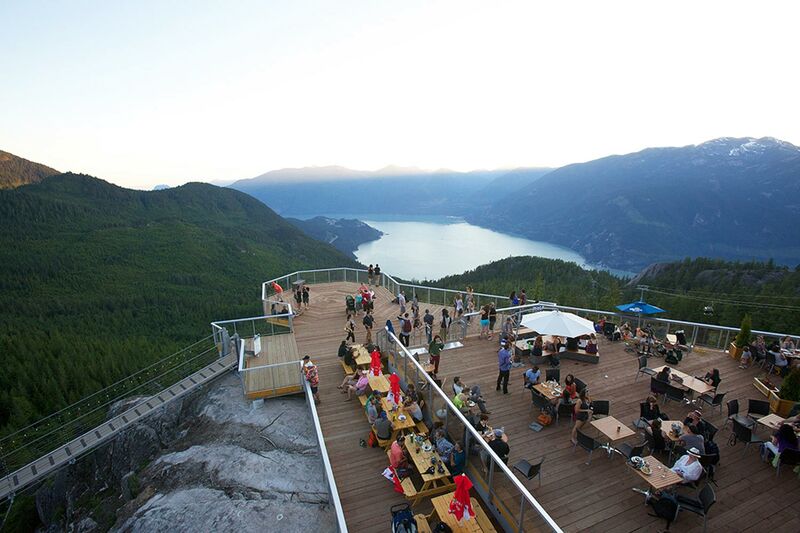 Meet at the Edge and Feast Above Howe Sound. Dine 885 metres above Howe Sound and feast on local cuisine prepared on site by the chefs at the Sea to Sky Gondola Summit Restaurant and Edge Bar. Whether it be a special occasion, shelter to watch a passing storm or a place to gather with friends after a day of adventuring, the self-serve Summit Restaurant offers food and beverage choices for everyone. Enjoy the views inside or head outside and take in the sights and scene from the spectacular Summit Lodge deck. 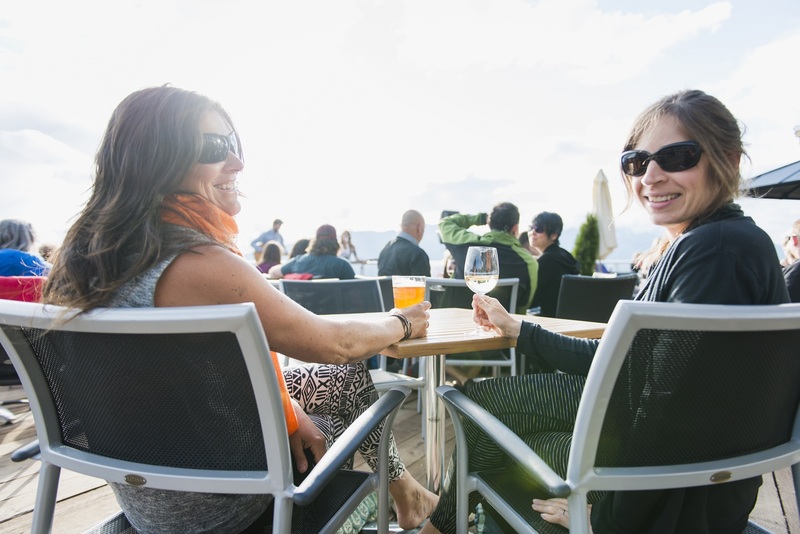 The Edge bar serves up a variety of local award-winning beers, BC wines and spirits. Sunset table service dinners occur on Fridays and Saturdays during the summer from 5:15pm-8:30pm (May 15 to August).